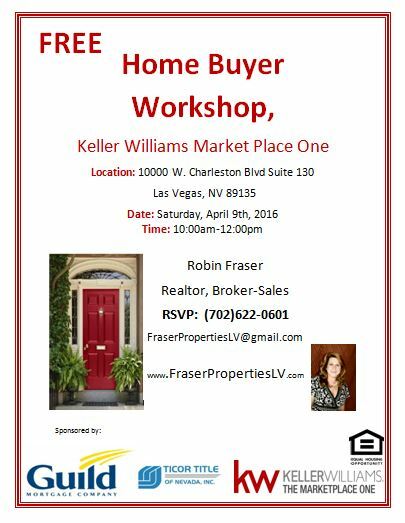 April 2016 Home Buyer Workshop, You Are Invited! Yes we are having another one! 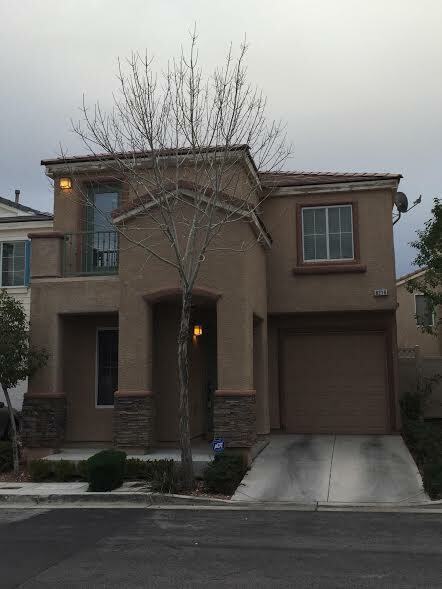 You won’t want to miss this, we will have a Lender and a Title/ Escrow specialist on site to help with any questions that you may have, We will help get you on track and ready to be a homeowner! Please RSVP so we allow enough room. 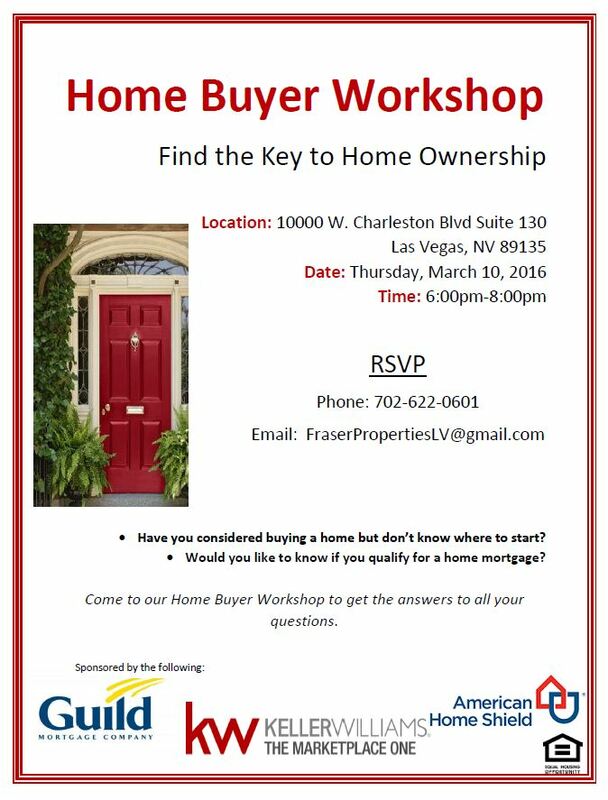 March 2016 Home Buyer Workshop, You Are Invited! Yes we are having another one! You won’t want to miss this, we will have a Lender and a Home Warranty specialist on site to help with any questions that you may have, We will help get you on track and ready to be a homeowner! Please RSVP so we allow enough room. 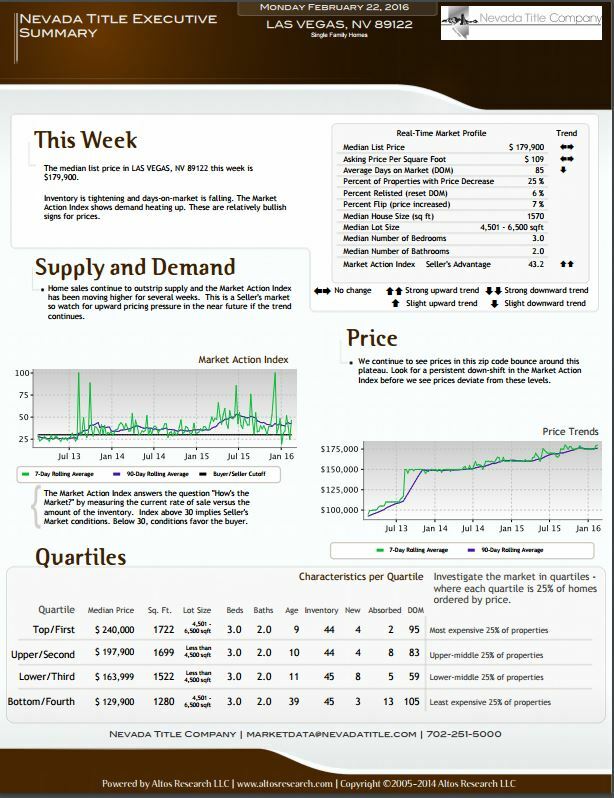 January 2016 Current Market Report For Las Vegas Zip Code 89122.